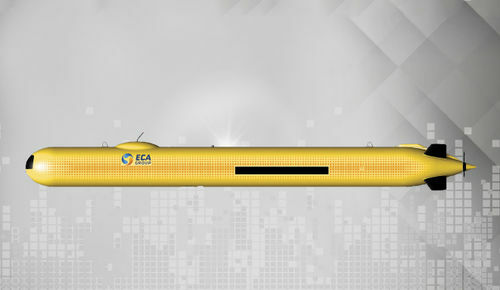 A18-D is ECA Group mid size Autonomous Underwater Vehicle, AUV, for deep water applications. It is dedicated to accurate 3D seabed Survey. It performs autonomous mission up to 3000 m depth with 21 h endurance, and is easy transportable by plane for oversea missions. This system can be delivered with a LARS allowing automatic underwater recovery and Triton Imaging applications for data post processing.